Have you ever had something that you really wanted to do or achieve but haven’t got around to it? Maybe there’s something you need to get out of your system. Well don’t put it off any longer, get that bucket list fulfilled once and for all. 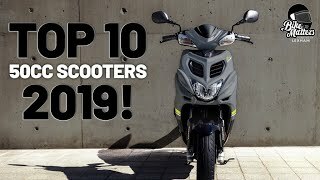 To start you off here’s 10 things we think should be on every scooter rider’s list, how many have you already ticked off? 1: Rip up your ‘L’ plates - stop using excuses and renewing your CBT every two years. Make 2018 the year you will gain a full bike licence. Not only does it open up your choice of machine but it also broadens the experiences you can have on two wheels. 2: Ride abroad - being ‘out there’ part of the unfamiliar territory, riding on the ‘wrong’ side of the road and immersing yourself in the sights and smells of a foreign country (or countries) is a fantastic experience. Doing it with a group of friends is even better. Whether you’re planning a touring holiday, or just a trip to a foreign rally there’s no better way to travel than on two wheels. 3: Complete a project – You don’t need to be a mechanic to take on a small project. Fixing an old scooter/bike up can be as hard or as easy as your skill level allows. If you aren’t too confident with the mechanical side of things just stick to improving the look of a machine and let the experts do the tricky stuff. If you want more of a challenge go for a full rebuild, restoration or custom build. 4: Load it up – Although riding abroad is great there are still plenty of good things to do and places to see closer to home. Load your scooter up and head off somewhere you’ve always wanted to go to. Take the tent if you’re looking for adventure or go for a hotel if you want home comforts. 5: Learn new skills – One thing about riding is that you should never stop learning. Do a track day or riding course to help improve your skills. Sometimes it’s good to take yourself out of your comfort zone. 6: Go racing – Many of us think we’re good on the road, try taking things to another level by getting out on a racetrack. 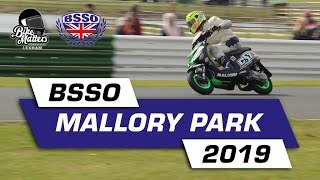 There’s plenty of scooter racing classes to choose from in the BSSO championships and it’s a friendly atmosphere. The LCGB backed Production Class is one of the cheaper places to start and provides some good close competitive racing. Give it a go. 7: Run what ya brung – An easier, arguably safer and cheaper (until you get hooked) way to get out and prove yourself on track is by sprinting. Drag racing can be done on any machine, just turn up, pay your money and sprint all day at places like Santa Pod or Elvington. Straightliners run most of the sprinting action in the UK. 8: Buy the scooter of your dreams – We all have that one model we lust after, it might be a Vespa 90SS, Lambretta TV 175, or something less exotic like a Mark 1 PX. Whatever it is, work hard and follow your dreams. Scratch that itch. 9: Win something – the world of scootering is very diverse and you can win trophies at custom shows and events. Providing of course that you have a machine that is worthy of winning. You could also go all out to win a championship yourself. The BSRA (British Scooter Riders Association) run a ‘Scooterist of the year’ championship, the LCGB run their fiercely fought BSM championship and the Club of Britain run their own championships. Give it a go. 10: Ride more miles – this is one thing that we can all achieve. We can easily get lazy or out of the habit of riding. 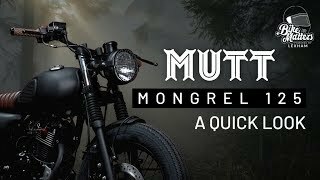 Make a conscious effort to ride more, use your scooter to get to work and back, for nipping to the shop, visiting friends, popping into the city. Ride more and it soon becomes ‘The norm’ and you’ll find yourself getting the scooter out automatically. It’s also much more fun than the car or public transport.